Contemple a mescla de estilos arquitetónicos da Igreja de Santa Maria na sua passagem por Bragança, Portugal. The Igreja de Santa María church is located next to the Domus Municipalis, the oldest town hall in Portugal, within the city of Bragança. 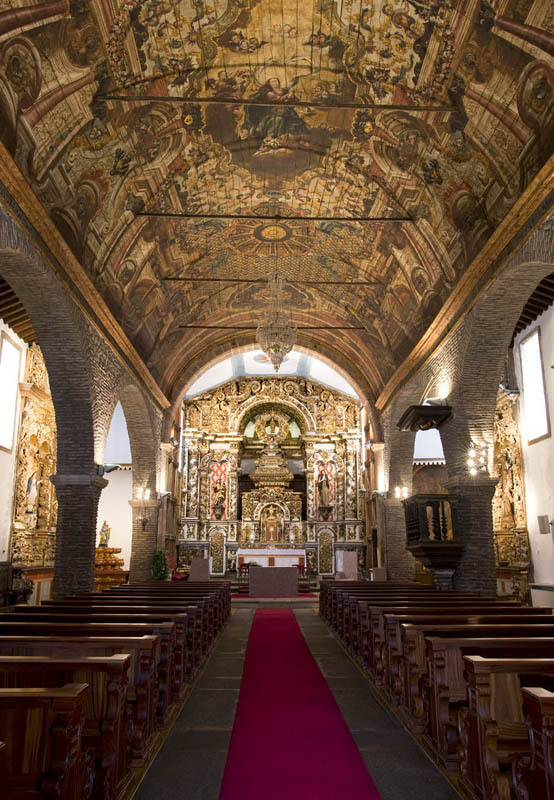 The church, built in the 16th century, stands out for its Mudéjar-style brick columns, the curios fresco painting in the ceilings, representing the Assumption of Mary; and the figure of Mary Magdalene, from the 17th century, above the major altar. The floorplan is of Romanesque style, the portico, Baroque; and some other decorative elements, Renaissance.